Do you remember reading this Henry Wadsworth Longfellow poem in elementary school? As a kid who received my share of parental lectures, it wouldn't occur to me that a parent would kick his or her child off the straight and narrow. As an adult, I know better. 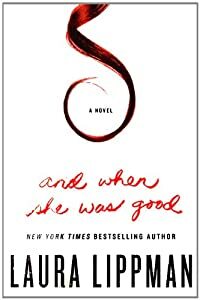 Laura Lippman's And When She Was Good, published in August 2012 by Morrow/HarperCollins, is about Helen Lewis, a little girl who doesn't receive much encouragement to be good. In fact, her father, jealous of the idea that Helen would grow up to lead a better life than he does, insists she drop out of school to work when she's 16, even though she's an excellent student. Helen's mother loves the jerk and doesn't make waves. During two subsequent bad relationships with a drug addict, Billy, and a criminal, Val, Helen is discouraged from getting her GED and forced to hide her love of literature. By the time she's self-employed, Helen has changed her name to Heloise. Heloise has discovered that being good doesn't pay the mortgage. Heloise's life in affluent Turner's Grove, Maryland, is a carefully constructed house of lies and omissions. Her father once told her she had "a nothing face" and now Heloise is glad she can dress down, stick on a cap and blend in along the sidelines of her son's soccer games. She's careful not to become close friends with fellow parents or to date a man, because she can't afford the luxury of intimacy. Heloise has even dyed her hair fox red to match the hair her 11-year-old son Scott inherited from his dad. This draws fewer questions about Scott's father––not dead, as Heloise's acquaintances and Scott think. Val Deluca is in prison. That's just Lie #1. Lie #2 is that Scott thinks he has no living grandparents. Omission #1 is that Val doesn't know Scott even exists. Omission #2 is that Val doesn't know Heloise is the person responsible for his imprisonment. Ready for another lie? People who see Heloise dining with a legislator think she is a beautiful red-headed lobbyist for the Women's Full Employment Network. Oh, she's a registered lobbyist with the state of Maryland in case anyone checks, all right, but WFEN is actually a front for a "boutique" prostitution ring. Heloise is a madam. On occasion, she also works as a prostitute for an old and valued client. Despite the illegality of her job and alienation from other people, Heloise is much like other mothers and professional women in Turner's Grove. Her son is the center of her life. She tries to maintain a civil relationship with his father by visiting him regularly in prison. Al Capone was imprisoned for tax issues and Heloise knows her surest way to attract the law's attention is to run afoul of the IRS. An accountant keeps her financial records and a lawyer is on her payroll. A small travel agency and car service used in her business are actually run as legitimate companies. She tries to cut down on risk of exposure in many ways. Hiring employees is done carefully and screening of clients merits a private investigator. A very elaborate shredding system in her home office is ready to devour her paperwork at the panicked press of a button. Heloise takes good care of her employees. They have a GPS chip in a bracelet they never remove and their location is monitored by Heloise's assistant until the job has ended. Now, Heloise's life is threatening not just to come apart at the seams but to end completely. The credentials of an expert ballistics witness in Val's trial have been exposed as bogus. It's possible Val, who is big on revenge, may be retried or pardoned. A "suburban madam" has been arrested and turns up dead. A friendly cop who Heloise once relied on for help is retiring and warns her that his successor is looking for publicity. One of Helen's employees is a potential catastrophe. 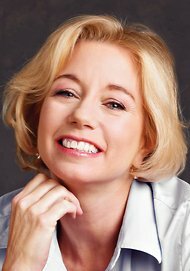 Heloise, a gifted entrepreneur, would love to run a legitimate business, be completely honest with her son and have close relationships with friends and a man. 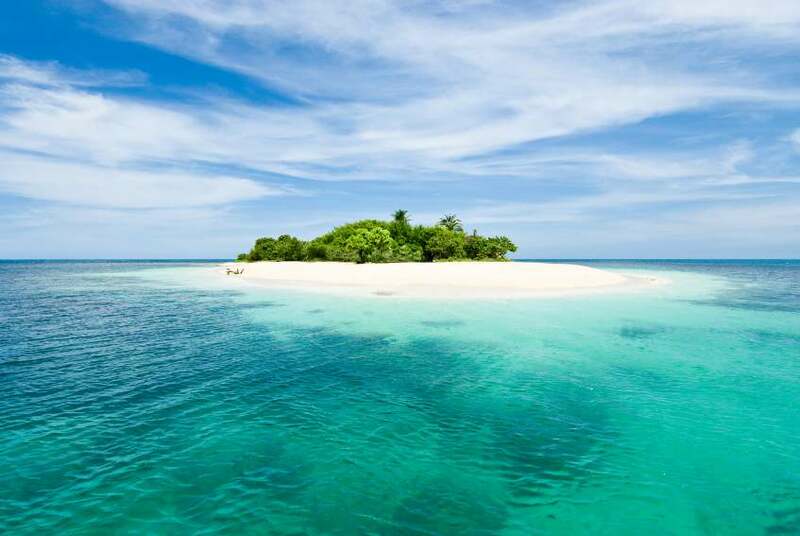 These desires feel as unattainable as life on a luxurious island. How often does a woman get a chance to reinvent herself? Lippman writes stand-alone books as well as a multi-award-winning mystery series about Tess Monaghan, a former journalist turned private eye in Baltimore, Maryland. These books are as much about Baltimore as they are about Tess's investigations. And When She Was Good isn't about its setting. It's also much less a story about prostitution than about a woman who can't tell the truth to others or recognize it herself. Heloise reminds me of Kate Moore in Chris Pavone's The Expats. Both are highly competent women who have created a facade of lies about themselves and then face events that threaten to blow up their lives in their faces. Literally. Each woman only thinks she knows that not everything is under her control. If she realized just how little control, she wouldn't stop screaming until she reached Ain't Nowhere Else to Run, USA. The case for legal prostitution, how bad parents mess up their kids' lives, the complexity of blended families, abusive men, stay-at-home moms, mother-daughter relationships, teenage girls' problems with self-image, drug addiction––these are some of the issues addressed by Lippman in this book, Heloise's first novel-length appearance. Heloise first appeared in a short story and a new ebook, Hints of Heloise, contains two previously published short stories and a new one, "Form 95." Lippman gives Heloise's history from childhood to the present in chapters alternating with the present in And When She Was Good. Her writing is clear and to the point. Heloise's story is an interesting one, very well told. A great read by the fire.